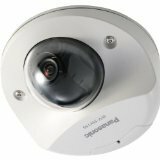 The Panasonic i-PRO SmartHD WV-SF135 is a low profile, HD compact dome network camera that provides full frame transmission of 1280x960 images using a 1.3 megapixel high-sensitivity MOS sensor. 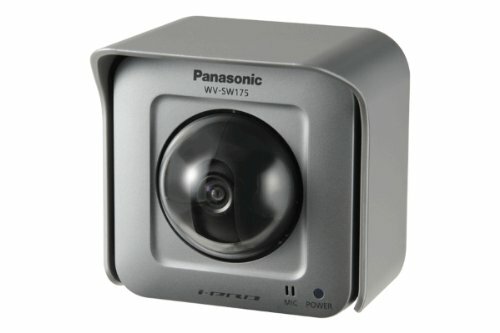 Additional features of the WV-SF135 include high sensitivity with day and night (electrical) function, 16x electronic sensitivity enhancement, and Variable Image Quality on Specified Areas (VIQS) - a technology that allows a designated area to retain higher image quality while excluding areas that have decreased image quality to lower the image file size and bit rate. Zoom (2x) is controlled by the browser, with a 2x extra zoom (4x) available under VGA resolution. 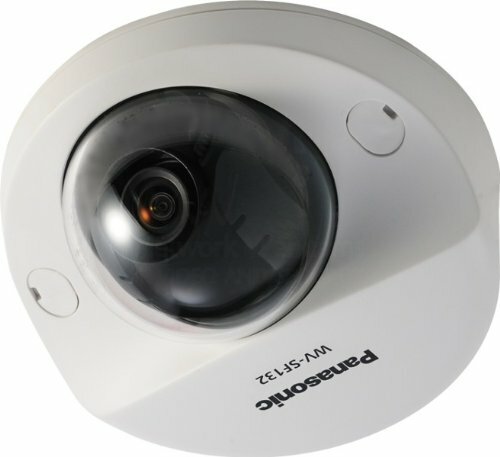 The Panasonic WV-SW155 Super Dynamic HD Vandal Resistant Fixed Dome Network Camera with a 1.3 MP MOS image sensor offers high-quality imagery with high sensitivity. The UniPhier LSI chip allows the network camera to simultaneous stream real-time imagery in H.264 and JPEG formats at a resolution of 1280 x 960 at 30 fps. 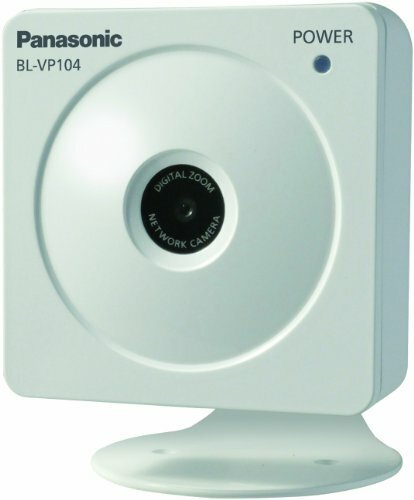 Panasonic WVSP306 "Box IP Camera (1.3MP, H.264, D/N, ABF ABS, SDHC/SD Memory Card Slot)"
Description: ?1.3 Megapixel High Sensitivity Mos Sensor 720P Hd Images Up To 30 FpsMultiple H.264 (High Profile) Streams And Jpeg Streams Ensure Simultaneous Real Time Monitoring And High Resolution Recording By Uniphier?, Panasonic's Proprietary System Lsi PlatformFull Frame (Up To 30 Fps) Transmission At 1,280 X 960 Image SizeWide Dynamic Range And Abs (Adaptive Black Stretch) Technologies Deliver Wider Dynamic Range Compared With Conventional CamerasFace Wide Dynamic Range Technology Ensures Clear Images Of The FaceHigh Sensitivity Day & Night (Electrical) Function: 0.6 Lx (Color), 0.5 Lx (B/W) At F2.2Digital Noise Reduction: 3D-Dnr Ensures Noise Reduction In Various ConditionsProgressive Scan Ensures Clear Images With Less Motion Blur And No Tearing When The Subject Is MovingElectronic Sensitivity Enhancement: Auto (Up To 16X) / Off2X Extra Zoom At Vga Resolution 8X Digital Zoom Controlled By BrowserVmd (Video Motion Detection) With 4 Programmable Detection Areas 15 Steps Sensitivity Level And 10 Steps Detection SizeFace Detection Function Detects The Position Of Human Face And The Information Is Sent By Xml Or Video Stream. Meta Data For Vmd Works With The Wj-Nd400 Playback Vmd FunctionSdhc/Sd Memory Card Slot For Manual Recording (H.264 / Jpeg), Alarm Recording (H.264 / Jpeg) And Backup Upon Network Failure (Jpeg)Still Images (Jpeg) Can Be Viewed On Mobile Phones Via InternetOnvif Compliant ModelPanning/Tilting And Preset Map Shot Function Accomplishes Wide Range Monitoring..(Horizontal Angle:180?? Vertical Angle 123?? 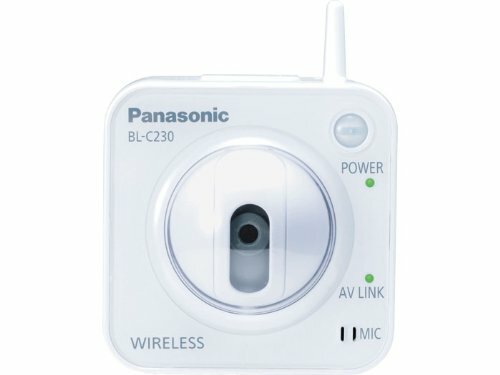 )Interactive Communication With Audio: By Using The Audio Output Connector And The Microphone In Connector, Receiving Audio From The Cameras On A Pc And Transmitting Audio From The Pc To The CamerasIp55 Rated Water And Dust Resistant. Compatible With Iec60529 . 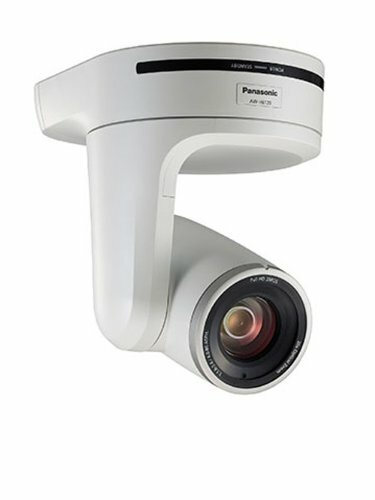 Designed to simultaneously stream both 720p high-definition video and high-quality JPEG still images over an IP network, the Panasonic BL-VP104P 1/4" CMOS network camera allows you to capture higher-quality images that are easier to review even as it continues to record surveillance video. Video motion detection can be used to create automated alarms that alert you of possible intrusion and upload images to an FTP server even when your company's security monitoring offices are unmanned. 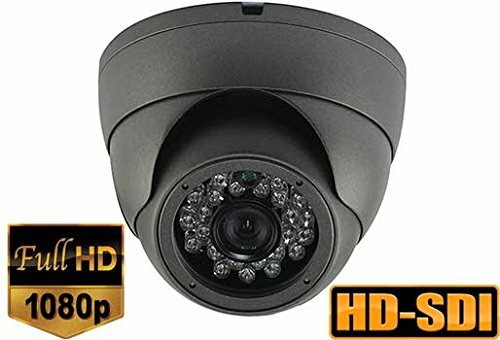 HD-SD Pan-tilt camera for remote control video production and staging with three 1/3" full HD MOS sensors. High picture quality with 60dB signal to noise ratio and 1100 lines of horizontal resolution. 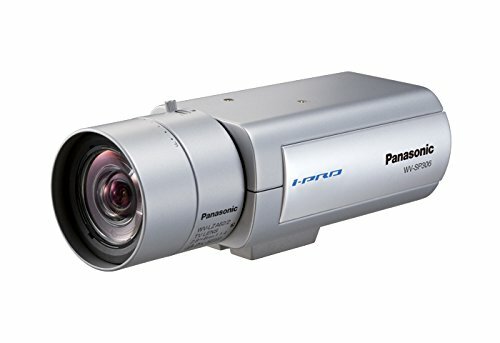 20X HD Optical Zoom and smooth PTZ movement, and is equipped with both HD/SD-SDI and HDMI Outputs. Multiformat output including 480i, 720p, 1080i, and 1080p (HDMI only). Serial, IP, and Browser-based control. AWHE120W is white colored model, with 1/4-20 mounting hole, and A.C. power supply. It is the world is first 1080p Lamp-Free Professional Projector with HDBaseT? Technology. The newSeries replaces a conventional lamp with a new LED and laser diodes boosted by Panasonics proprietary technologies to realize long lasting high brightness of more than 3000 lumens and up to 20000 hours of virtually maintenance-free operation. The 1-Chip DLP Series is available in two different resolutions 1080p ?1920 x 1080? and WXGA ?1280 x 800? with capabilities that were not possible before with conventional lamps. Professional grade features include Edge Blending and Color Matching - enriching the projector usage experience for educational institutions and professional applications such as museums and digital signage. Based on Valens HDBaseT technology also embedded is Panasonics Digital Link feature - which allows a single cable to transmit uncompressed HD videos audio and control commands up to 100m ?328 ft?. FeaturesType - DLP Projector Power Cord with Secure Lock Wireless Remote Control Unit Batteries for Remote Control Software CD-ROM-Logo Transfer Software Multi Projector Monitoring &Control Software Ratio - 16:9 Item Weight - 33 lbs.